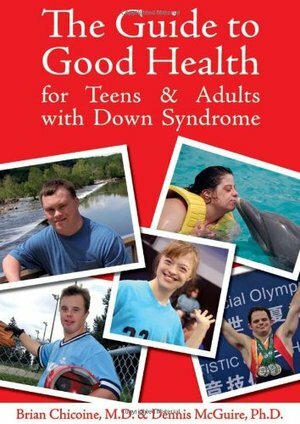 2010 ForeWord Reviews Book of the Year Silver Award Winner, Health Category Chosen as a Library Journal Best Consumer Health Book of 2010 The authors of the bestselling Mental Wellness in Adults with Down Syndrome turn their attention to the physical health of teens and adults with Down syndrome. Drs. Chicoine and McGuire provide invaluable insight into what health problems are more common in their patients, and how medical issues can present differently in people with Down syndrome. In a clear, empathetic style, they discuss how to promote a healthy lifestyle to prevent problems, and how to recognize health problems early on to ensure appropriate care and the best outcome. THE GUIDE TO GOOD HEALTH is a resource families and caregivers can refer to over and over again, whether it s to find strategies to get a teen or adult to cooperate with treatment, or to consider if a symptom is being misdiagnosed or misunderstood. Key topics include: -Characteristics of Down syndrome that can affect health care; -More commonly occurring medical issues; -The connection between mental & physical health; -Dealing with hospitalizations; -Long term health and well being throughout the lifespan; -Advance directives and end of life issues; -Specific medical conditions (ranging from skin and nail problems, eye, nose and throat issues, and cardiac concerns, to thyroid disorder, diabetes, Alzheimer disease, and sleep problems). For each condition, the authors discuss symptoms, the diagnostic process, and treatment options. Real-life examples from the authors decades of experience help to illustrate how some medical problems can mistakenly be attributed to characteristics of Down syndrome. As the average person with Down syndrome lives considerably longer than in previous generations, THE GUIDE TO GOOD HEALTH can also help families know what to expect during the aging process.